LDP had intended to focus its publication efforts on ebooks, although as things turned out the paperbacks and hardbacks rather established their own momentum. However with the publication of our latest title, we are making efforts to restore the place of ebooks in our portfolio. As a first step, we have created print replica ebooks using Amazon’s KDP software. These are available for a range of devices, such as Kindle Fire tablets and reading apps for iphones, ipads, Macs and PCs. We are currently looking into different routes for making epub versions available. The print replica ebooks have the advantage of retaining the page formatting of the printed versions of the book and can also be in colour at lower cost. It is not surprising that paperbacks have proved to be the most popular LDP format, but we hope that the print replica ebooks provide a cheaper alternative, and in colour. Details of the available formats can be found by following the links below to the book pages on LDP’s website. Explores 9 processes that drive innovation, invention and discovery. They are compared from both a STEM and an art perspective and exercises to develop these competences are provided. Discusses how designers design and their impact on people’s lives and the environment with insights from neuroscience, sociology, economics and history. The key roles that human modelling capabilities play are apparent. Practitioners and researchers analyse the future of design education and identify its central role in a modernised curriculum. Contributions are included from 7 authors, as well as the editors. Analyses the role of graphicacy in culture and education and provides a pioneering. A new taxonomy suitable for analysing graphicacy across the curriculum is presented, together with case studies and proposals for further research. The book is founded on a substantial literature review. 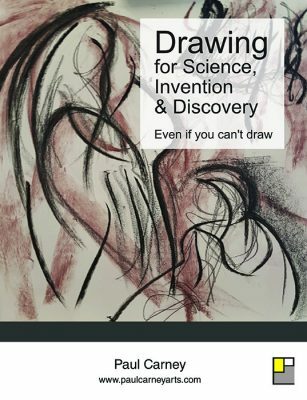 In this book a highly effective innovator explains her thinking and methods in relation to art, design and environmental education. Significant policy recommendations are included based on 46 years’ experience of initiating educational change as teacher, researcher and campaigner. Discusses aspects of what designers know and how they know it and includes contributions from 7 other authors. Substantial efforts need to be made to articulate design epistemology in order to facilitate curriculum planning. All these titles have all been well-received and reviews of the books can be found on LDP’s blog.